We’re thick into our accident scene blog series where we’ve shared tips on what to say to accident victims, the types of consent you can get to be of help, how to help victims without causing further damage and how to deal with a challenging scene where victims are unable to communicate. One other challenge you could encounter when trying to communicate with victims is language. South Africa is a country that is diverse in languages and dialects, but what happens when the victim can’t speak or understand English? In order to communicate effectively and get consent to assist or get the required information, you need to establish which language the victim can speak. If the victim speaks a language that you do not understand and you cannot communicate with them in English, look for someone who can communicate in a dialect they would understand to act as a translator or assist by taking over. This could either be a friend who is also at the scene, another person available to assist or by calling someone from the victim’s phone to assist. Should there be nobody around to help or nobody to contact, your other available alternative lies in online translation apps. It may be slow going, but is necessary. Once you have found common communication ground, remember to assure the victim that you are there to help and get their consent to do so. Once consent is given, proceed with collecting any medical information that would assist the medical professionals. Children who are either too young to articulate themselves or properly construct a sentence. The victim could be an elderly person or suffering from Alzheimer’s. The victim could be deaf or mute. The victim could be intellectually handicapped. 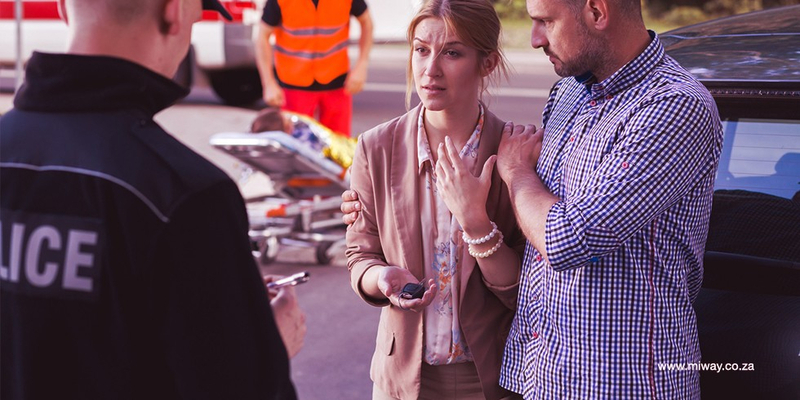 As you can see, in as much as language can cause a communication challenge, there are other reasons why accident victims may not be able to communicate. It would be ideal to keep these in mind in case you are the first responder to an accident and are trying to assist. For professional assistance, remember to call your insurer for emergency assistance or get the MiWay Emergency Alert – your call for help when you can’t make the call yourself.